We’ve been developing The Rap with Nolan Rapoza over the past 5 years. As his go to board for the 2016 contest season, he rode it to become the WSL’s 2016 North America Men’s Jr Regional Champion. Designed with a single concave bottom for speed and a continuous rocker running nose to tail harnesses Nolan’s explosive top to bottom approach to surfing. Not only is The Rap very responsive in the pocket, its flat deck and medium full rails help it carry speed through flat spots and arcing cutbacks out on the face. With Nolan receiving such excellent results at contests in locations such as Barbados, Mexico and both coasts of the US demonstrates how The Rap is just as versatile as it is high performance. A moderate continuous curve which is fast yet still carves tight turns in the pocket. Medium full rails through center, tapered through nose and medium thin through tail. Single concave for speed starting just below the nose rocker and running through the tail of the board. Tri-fin is standard. 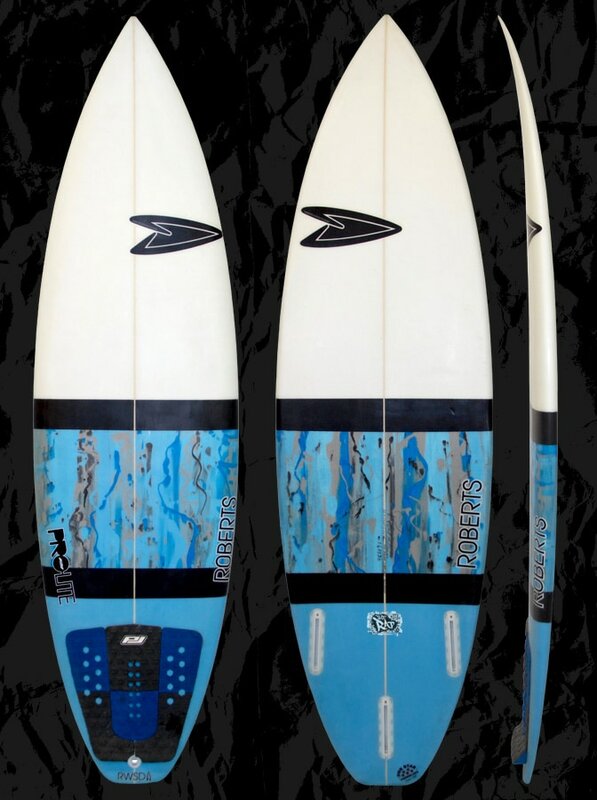 Can be ordered in a 5-fin set up to ride as thruster or quad. Waist high and up. Mushy to punchy and hollow. Order this board 2" shorter, 3/8" wider and same thickness as your high performance short board. For the highest level of performance, length should be between 1” over or 1” under your height while adjusting width and thickness for optimal volume. Custom dims are always available. Please feel free to use our CONTACT US form on this website to receive more info about our boards and sizing.